After a series of negative press releases rallycross fans were dealt another blow last week when they learned that Petter Solberg and his PSRXVW outfit will not be returning to the World Rallycross Championship in 2019. Petters involvement in International rallycross was a significant influence in my drive to start attending European rallycross events and Solberg has been responsible for many of my favourite World Rallycross moments. So, to celebrate his time in International rallycross, I thought I would recap a few of my favourite captures of Petter during his last six years of competition. Heat 2, RallycrossRX Round 7, Loheac, September 2013 – As the scene of both my first European Rallycross trip and my first time shooting for Fueltopia, Loheac holds many fond memories for me. Having stalled on the line, Petter Solberg began heat two with a significant distance between himself and the rest of the pack. Predictably Solberg drove absolutely flat out in an attempt to close the gap and over each of the four laps he seemed to be turning into the final corner earlier, faster and with more even angle. Watching Petter saw away at the steering wheel through the viewfinder of my camera is an image that is permanently etched into my brain: and a moment that cemented the final corner at Loheac as one of my favourites in rallycross. 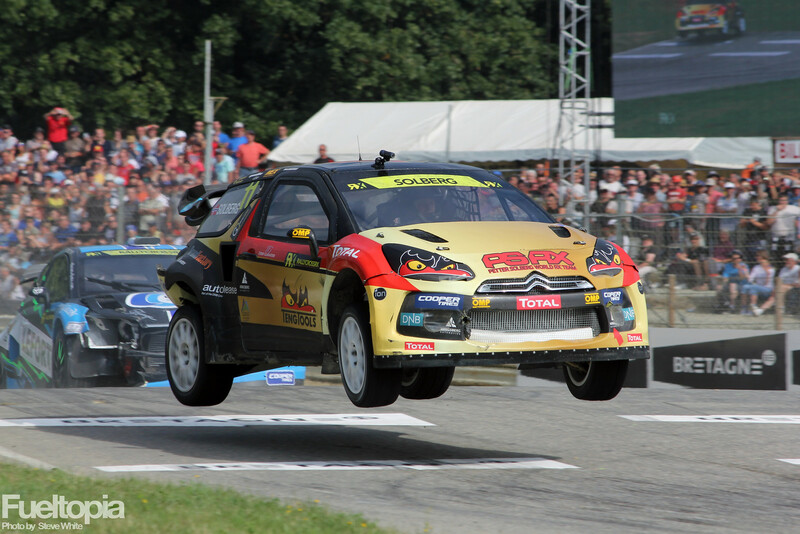 Heat 4, World Rallycross Round 8, Loheac, September 2014 – A year later and, although Petter had dialled down the aggression a touch for 2014, his driving was still very flamboyant. Several Supercar drivers were approaching the joker lap jump at an angle in order to line their car up with the chicane on the exit, however Petter went one better by flicking his DS3 off the crest of the jump in order for it to land pointing at the chicane. 2013 was a frustrating year for Petter, with numerous mechanical failures and technical gremlins denying Solberg his first Supercar victory. With many lessons learned PSRX built a new DS3 for the 2014 season and the difference was clear from the outset. France would be the third of five event wins that Solberg claimed in 2014, taking him to his first World Rallycross title and earning him a spot in the history books as the first driver to have won FIA World Championship titles in two different disciplines. …what followed were six laps of the most committed driving I have ever witnessed. Many Supercar drivers were getting a lot of air on this section of the track, but Petter seemed to be physically throwing his DS3 down the slope. Incredibly Solberg didn’t just scrape into the top three but he chased semi-final winner Per-Gunnar Anderson across the line. Starting the final from row two, Petter moved up to second and, although he was unable to challenge Toomas Heikkinen for first, it was still a superb recovery drive. Heat 4, World Rallycross Round 4, Lydden Hill, May 2015 – Confession time, but this photo came about by fluke and was not the shot I originally envisaged. I had noticed that Petter was changing gear whilst midway through Paddock Hill bend and, on every occasion when he did so, the back of the car was stepping out. Having elected to try and capture a sideways moment on camera the next time Petter passed my position, I managed to pick the one lap where Solberg understeered into the corner. As he grabbed another gear, the car spat fire out of the exhaust resulting in the picture you see above. Heat 1, World Rallycross Round 12, Franciacorta, October 2015 – The impact of this picture is perhaps best appreciated after seeing images of other cars on this corner. Solberg certainly wasn’t the only driver taking turn two of the Franciacorta circuit sideways, but this long sweeping left-hander perfectly illustrated just how soft the suspension of the PSRX DS3 was compared to the rest of the field. Where other cars were leaning to the right, Solberg’s car was dragging its door sill across the tarmac. This combination of car setup and driving style is what made Solberg so spectacular to watch and the Petter/DS3 combination beloved by so many rallycross fans. Qualifying Heat 2, World Rallycross Round 5, Lydden Hill, May 2016 – There are many factors that contribute to the overall spectacle of seeing rallycross Supercars in action but, if I had to pick just one, it would be the launch. All Supercars squat at the rear as they prepare to leave the line but, thanks to the aforementioned soft suspension, Solberg’s DS3 would often have its nose pointing skywards all the way to the first corner. With three complete seasons and two World Rallycross Championship titles, development of the PSRX Citroen DS3 had reached it’s apex by 2016. Countless improvements were made over the years but, despite significant changes to the rear suspension geometry and ride height, Solberg never mirrored the stiffer car configuration of his closest rivals. Final, World Rallycross Round 8, Loheac, September 2016 – The last corner at Loheac again and Petter once again smoking the tyres of his DS3. After picking up a puncture in the closing stages of the final, Solberg simultaneously tried to find a way past Andreas Bakkerud ahead of him while fending off the advance of Sebastien Loeb behind. With just a few corners to go Loeb found a way through and Petter dropped to fourth. Despite missing out on the podium and being far from his best result, it was an incredible bit of driving to witness as Solberg fought to hold his Citroen on the limit. Alas this would be the last time I would get to see the venerable DS3 in action as, after four full seasons as a privateer, Petter finally managed to attract the support of a manufacturer. Practise, World Rallycross Round 1, Barcelona, April 2017 – After four years – and two World Championship titles – behind the wheel of a Citroen DS3, Solberg switched to a works Volkswagen Polo for the 2017 season. There had been much speculation about the Volkswagen Motorsport Polo GTI during the off season, particularly with regards to its cooling configuration. It was only when the PSRXVW cars rolled out for the first practise session of the year that rallycross fans got their first look at the convention-breaking Polo, a car that would go on to smash virtually every record in the World Rallycross Championship. 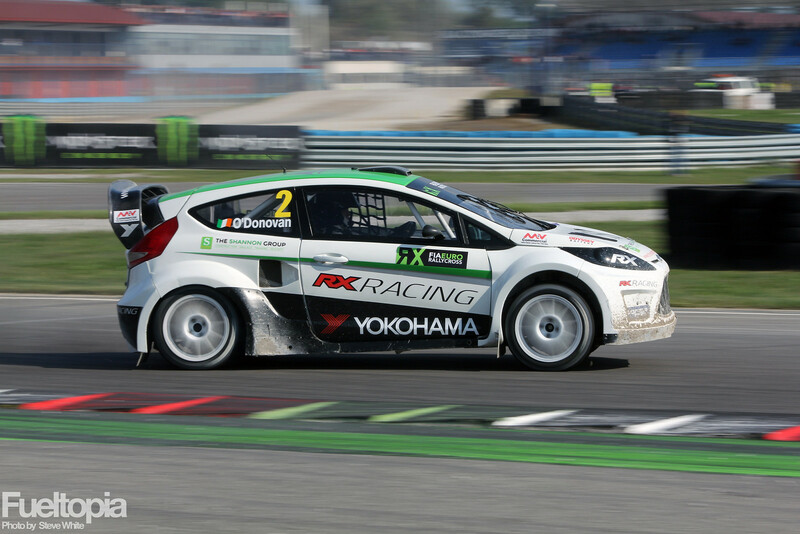 Petter’s team mate Johan Kristoffersson would set the fastest time in the opening session, something rallycross fans would become very accustomed to in subsequent years. Final, World Rallycross Round 4, Mettet 2017 – Given the considerable tally of victories that the PSRXVW Polo has accrued in the last two years, it is easy to forget that it was Mattias Ekstrom who looked the dominant force at the start of the 2017 season. Although the Polo clearly had speed, consistency – and luck – was lacking and as a consequence Ekstrom won the first three rounds of the season. 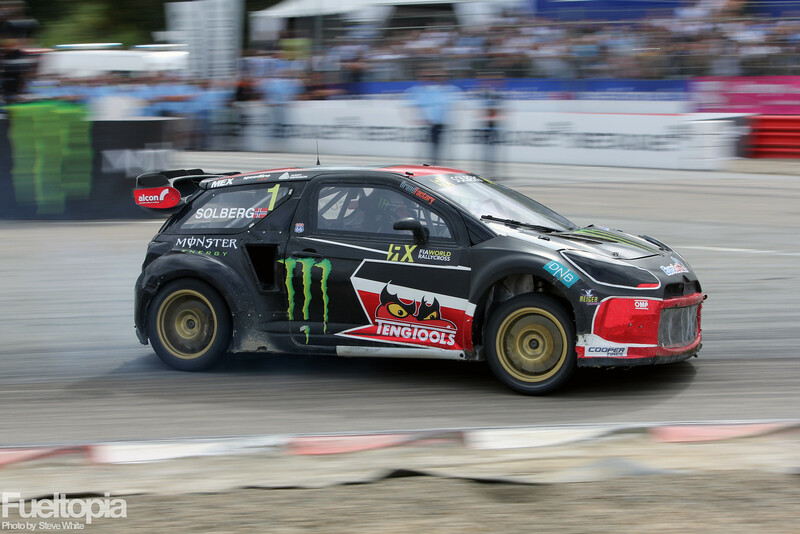 Petter Solberg and Johan Kristoffersson placed first and second respectively in the intermediate standings at round four, with Petter and Johan going on to lock out the front row of the final. Solberg led the opening laps of the final, but a tussle with Timmy Hansen dropped him down the order. Slowed by a puncture in the closing stages of the race, Timmy was passed by Johan who chalked up the first victory for PSRXVW, while Petter missed out on second by a hundredth of a second. 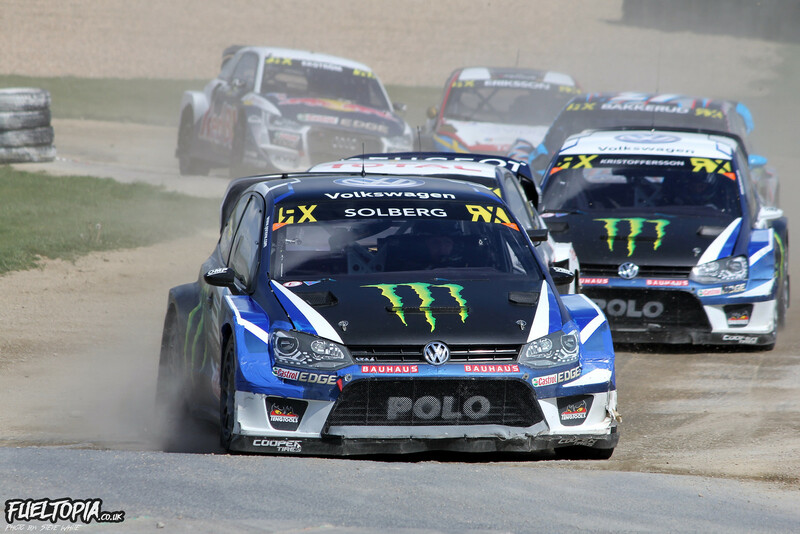 The Polo was finally a race winner and a new era in the World Rallycross Championship had begun. 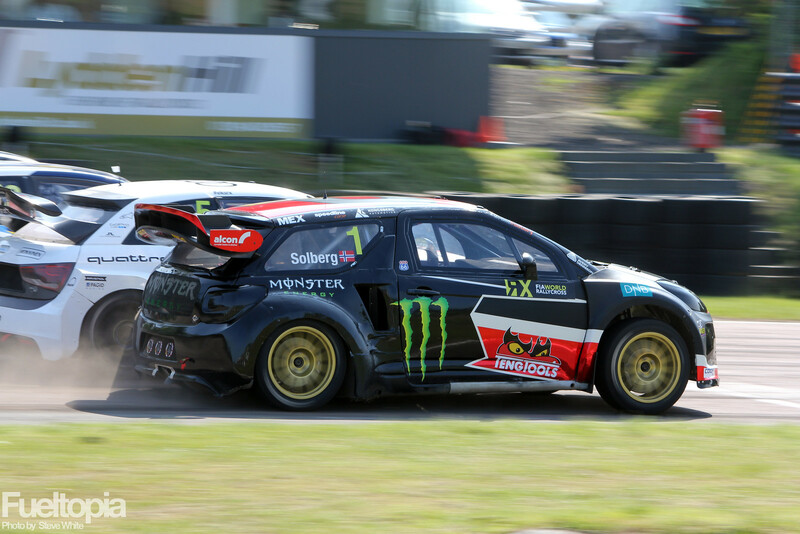 Qualifying Heat 1, World Rallycross Round 5, Lydden Hill, May 2017 – 2017 marked the 50th anniversary of rallycross and, when the World Championship stopped off at the birthplace of the sport, Petter vowed to take the win. Not only did Solberg claim overall victory, but he did so in an utterly convincing manner. After setting a new fastest lap time in practise and winning the first qualifying heat by a significant margin, I was afraid that Petter might be charging too hard too early. However his pace was well measured and I was astonished when it was revealed that Solberg had three fresh tyres left for the semi-finals. Lydden was, in my personal opinion, Petters finest moment in the Polo. 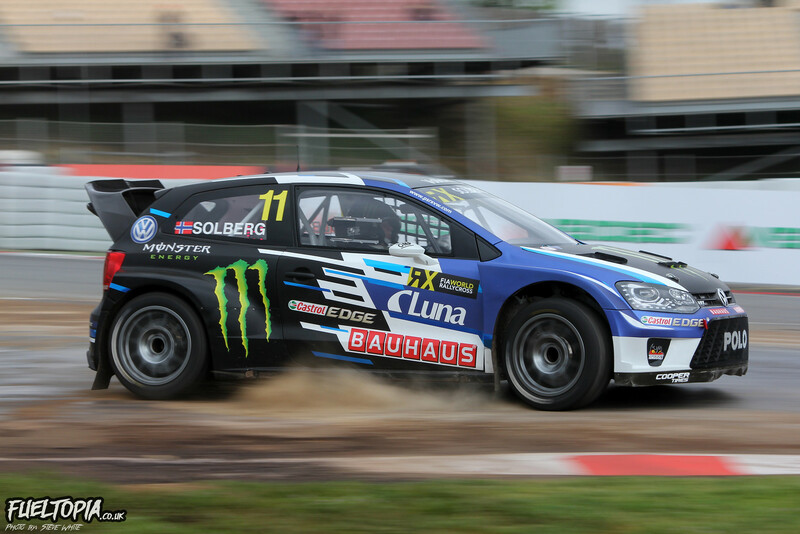 Qualifying Heat 4, World Rallycross Round 1, Barcelona, April 2018 – After watching PSRXVW team mate Johan Kristoffersson dominate the second half of the 2017 season, Petter had stated his desire to challenge for the title in 2018. 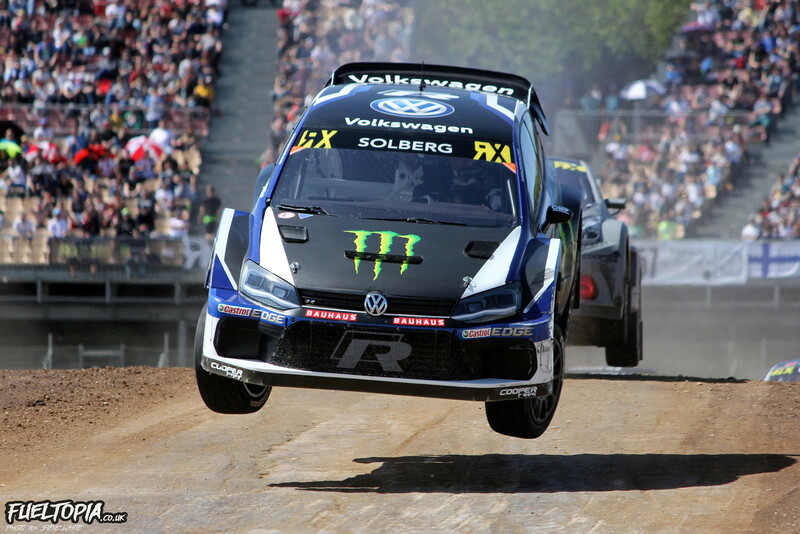 Victory in the second and third qualifying races of the opening round was an encouraging start, but Solberg seemed a bit too keen in qualifying four when he carried too much speed over the jump, resulting in the crossed-up Polo you can see above. Petter survived the landing and went on to claim the pole position spot for the final but, sadly, the weekend would end in controversy as Mattias Ekstrom clashed with Solberg in the first corner. Ekstrom was subsequently disqualified for running Petter off the circuit and into a stack of tyres, but that was likely of little consolation to Solberg who watched one of his best chances for victory disappear in the blink of an eye. Paddock, World Rallycross Round 4, Silverstone, May 2018 – Despite a promising performance at the opening round of the season, the first half of the 2018 Championship was a rather disappointing one for Petter. 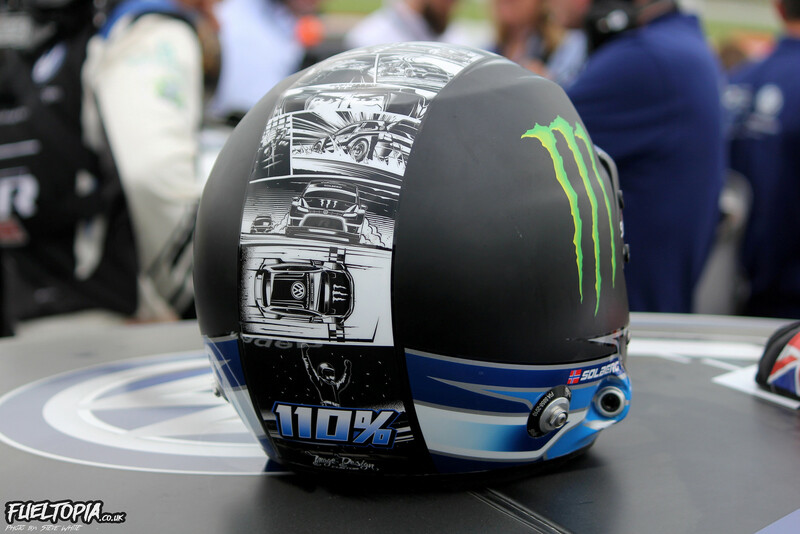 Solberg certainly wasn’t languishing at the back, but the spark that was usually present was noticeable by its absence and many started to question if Petter would hang his (exceptionally cool looking) helmet up at the end of the year. The revelation that Solberg had been battling with Sarkoidose offered an immediate explanation to his less energetic demeanour and with improved form in the closing rounds of the season, fans were hopeful that 2019 might be the year we saw Petter back on top of the podium. Sadly those hopes were crushed when Solberg revealed that PSRXVW would not be a participant in the next World Rallycross season. 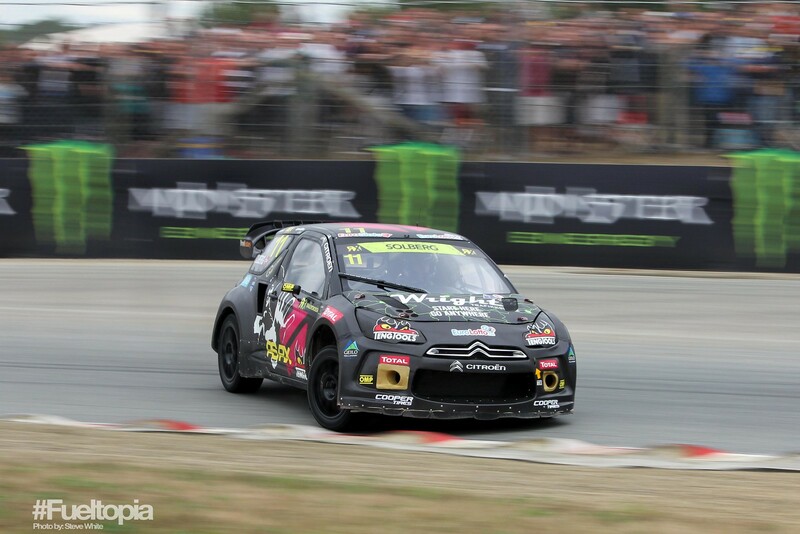 It is the latter achievements of Petter’s Monster Energy-backed PSRX outfit that have grabbed the majority of the headlines, but it is Solberg’s time as a privateer at the wheel of his (mainly sideways) DS3 that remains foremost in my mind. That first season in Supercars may not have yielded any race wins, but the Bruce Lee branded, plain carbon fibre, Citroen was unquestionably the most spectacular car to watch on track that year. 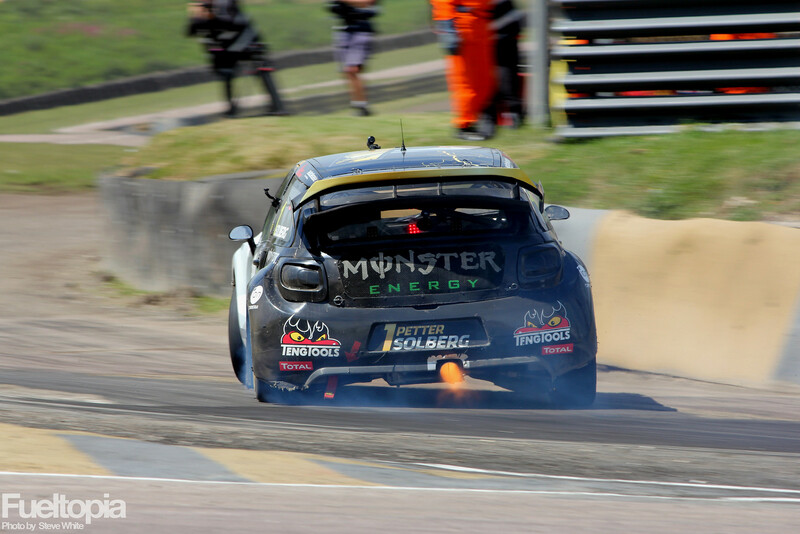 There are many talented drivers involved with rallycross, but it’s not going to be the same without Petter next year. That said, the official press release from PSRXVW indicates that the rallycross program is being paused rather than scrapped, so I hope 2018 won’t be the last time we see Solberg on a rallycross circuit. In the interim I wonder what the chances are of seeing Petter’s son Oliver stepping up to the International stage to continue the family legacy in rallycross? 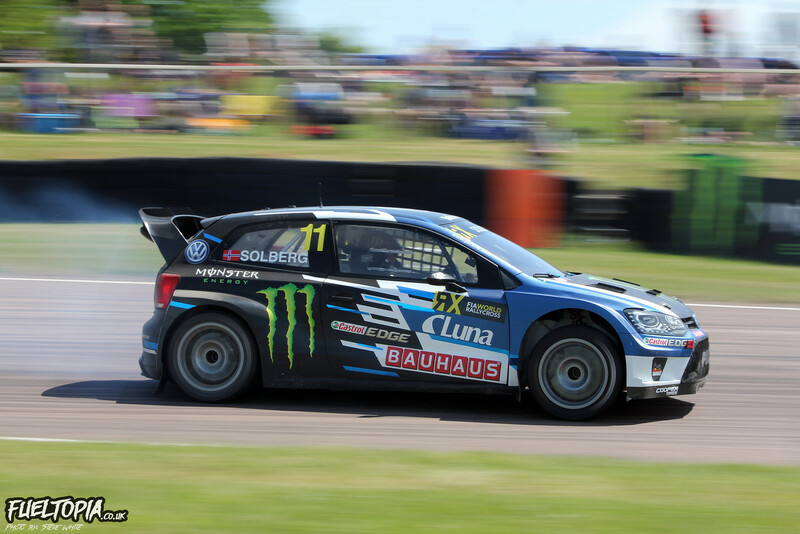 Want to see more of Petter Solberg? Click here for a set of image galleries. Previous PostSuzuki GSX-S125 - Does size really matter?